Valencia is the second strongest home team along with Real Madrid in the league. And they are just a point behind Barcelona. The home team made a draw vs. Real, which should give them some confidence. They were even close to a win in that game. Their home record is as follow: 15-2-1. Against teams under the 10th place they have eleven victories. 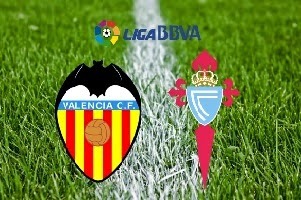 Celta is not a bad team at all, but they are not very good guests 5-6-7. Furthermore the season for them is over.Unless they qualify in seventh place and Sevilla win UEFA Europa League,but it is very unlikely. Valencia won most of their home games with 2+ goals scored. Asian Handicap- Valencia -1; odd:2.05 is also reasonable.